From the moment they announce their pregnancies (and even before when suspicion is rife), we eagerly watch celebrities, are fascinated by their choices of maternity dresses and fashion and speculate as to whether they will have a boy or girl. Still, no matter how closely we follow many celebrities throughout their gestational period, it is quite common to be astounded by the names that these famous people give their children. Beyonce, the diva who now proudly sports breastfeeding tops and an enviable post-baby body, called her child with rapper Jay-Z the unusual name of Blue Ivy. While this is not the most bizarre baby celebrity baby name ever heard, there was initially much conjecture about whether the child was in fact called Ivy Blue, and it is definitely one of the most unusual baby names of 2012 (so far). It is understood that Nicholas Cage named his son Kal-El after Superman. Cage has a well-publicised obsession with comics and even changed his own last name from Coppola to Cage as a result of his fascination with Luke Cage, the ‘Marvel’ character. Jason Lee has earned much respect and acknowledgement for his humour and appearances in television programs such as My Name is Earl and Kevin Smith movies. However, more than a few people have been left to question how funny it really is to call your child Pilot Inspektor. It is believed Lee chose the name Pilot after listening to a song by the band Grandaddy. While there is absolutely nothing wrong with the name Sage (nor is it a very unusual name), the same cannot be said of Sylvester Stallone’s son because he has the middle name of Moonblood. Given the father of this child and the types of characters he has portrayed, some will not be surprised that the word blood was included somewhere in his son’s name. Stephen Spielberg and actress Kate Capshaw gave their daughter the very unusual name of Destry. What makes this name so strange is the immediate link that is made to the word ‘Destroy’. However, some fans have claimed that Destry is in fact the feminine form of Destro. The bizarre life of Michael Jackson is not so much epitomised by his youngest son being called Prince Michael II, but by the name of Blanket, which he is most commonly called. Although the word blanket is a totally innocent word, it has in some ways taken on disturbing connotations through being the name of this child. Tu might not be such a bad or unusual name if it was not followed by the surname Morrow. Rob Morrow from the television show Numb3rs thought it completely appropriate to use the pun to name his child. To most people other than the child’s parents, the name Tu Morrow is not especially funny and many predict that this child will be the brunt of more than a few schoolyard jokes because of the name. Jermajesty is a child of Jermaine Jackson, of Jackson 5 fame. It goes without saying that this is one of the most strange (and possibly self-indulged) celebrity baby names. It seems that the trend of celebrities naming their babies with unusual and curious names will only continue. While many of us want our children to have quite unique and distinct names, many of our favourite celebrities take original baby naming to new levels. Pregnancy is not always the smoothest of journeys, but Queen Bee has 10 practical tips for avoiding unpleasant symptoms and making pregnant life easier. Read them here. 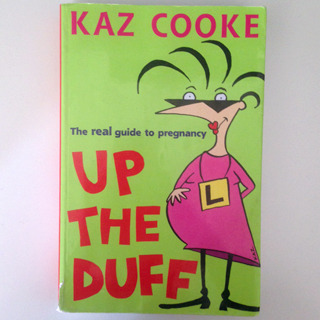 There is plenty of reading material out there for pregnant women to read and in fact pregnant women probably read A LOT! I don’t think I’ve ever read so much before – or at least consciously done so. But where do you start and what do you believe?